EDITOR’S NOTE: This story originally was published June 30. The PP Blog later encountered a database problem, which caused the site to go down and resulted in the temporary loss of some data. The data now has been retrieved. The FBI in Jacksonville has opened a probe into Kenneth “Wayne” McLeod, the Florida man who appears to have committed suicide last week when his alleged $34 million Ponzi scheme was exposed by the SEC. In a statement on its website, the FBI confirmed an investigation was under way and asked victims and witnesses to come forward. “Victims and other individuals with knowledge of FEBG are encouraged to call the FBIâ€™s Jacksonville Field Office at (904) 248-7000 or to contact us via e-mail at Jacksonville@ic.fbi.gov and include â€œFEBGâ€ in the e-mail subject line,” the agency said. 1. Their full name, address, and contact information. 2. 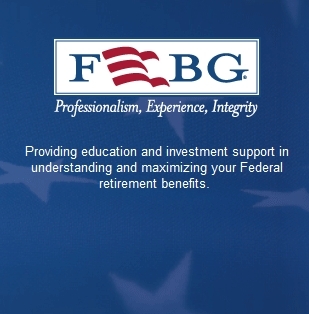 Their point of contact at Federal Employee Benefits Group (FEBG), McLeod’s company, and how they learned of the company and the investment opportunity. 3. Their understanding of the terms of their investment(s). 4. The total dollar amount of their investment(s). 5. A description of any records they have in their possession that confirm their investment(s) — for example, statements, correspondence, etc. McLeod was 48 when he died June 22. The SEC said his Jacksonville company was paid â€œup toâ€ $15,000 by government agencies for seminars conducted by McLeod. The SEC alleged last week that McLeod was operating a Ponzi scheme dating back to at least 1988. The scheme was alleged to have gathered â€œat leastâ€ $34 million. McLeod’s company conducted seminars at various federal agencies, and also used the Federal Law Enforcement Training Center (FLETC) in Glynco, Ga., as a seminar outlet, according to the firmâ€™s website. If the company’s seminar schedule is accurate, FEBG completed a seminar for U.S. Immigration and Custom Enforcement (ICE) at the FLETC facility in Georgia June 8 â€” 14 days prior to McLeodâ€™s death. Another ICE seminar was listed for July 2 at the same FLETC facility. Seminars for the Federal Air Marshals Service (FAMS) were scheduled July 7-9 in Miami. Dual seminars were scheduled for July 21 â€” one at the Georgia FLETC facility for ICE, and another in San Antonio for â€œSSA â€“ OIG,â€ which stands for Social Security Administration, Office of the Inspector General.